m/c 1-1/8 bore with chrome lid and chrome bails. 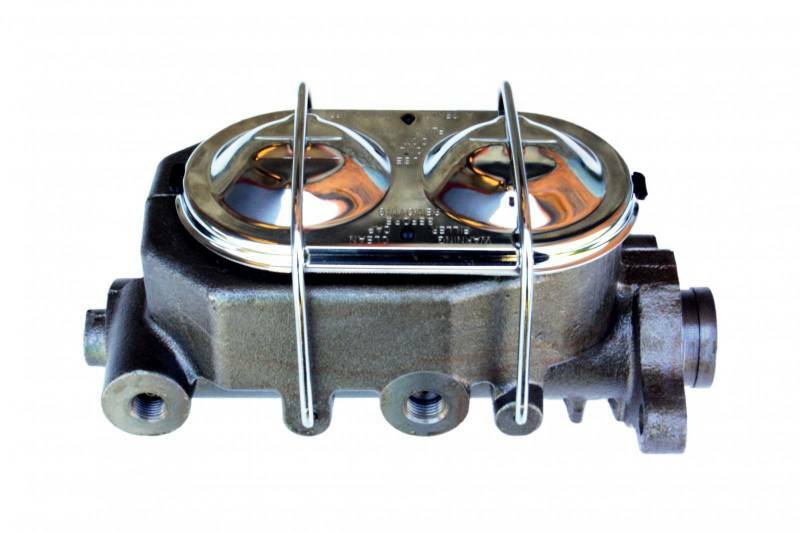 New 1-1/8" bore power brake master cylinder with chrome lid and left side outlets, 9/16-18 & 1/2-20 outlets. Contact us for information on this 1-1/8 master cylinder.